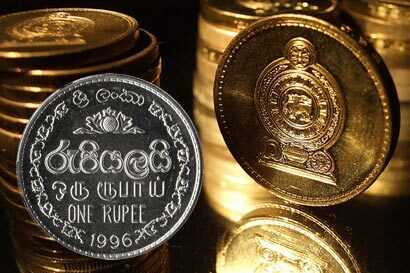 Sri Lankan rupee forwards ended weaker on Tuesday on dollar demand from importers, but the currency was expected to stabilise in June after money from an IMF loan flows in, the country’s finance minister said. Dealers also said pressure on the local currency was likely to ease on expected fund inflows following the loan deal with the International Monetary Fund and on a plan to raise $1.5 billion through the sale of a 10-year sovereign bond. “Money (dollars from exporters) is coming in and you could see there is some sense of consolidation coming in. It’s in 146 range June 1 or 2 as soon as the IMF money comes in,” Finance Minister Ravi Karunanayake told Reuters. The dollar/rupee forwards, known as spot next, ended at 146.90/147.00 per dollar, weaker from Monday’s close of 146.75/85. Dealers said one of the two state-run banks, through which the central bank usually directs the market, sold dollars at 146.75 to select banks. Officials at the central bank were not immediately available for comment. The spot next, which acts as a proxy for the spot currency, indicates the exchange rate for the day following the conventional spot settlement, meaning it is three days ahead for Tuesday’s trade. “Again, the rupee is getting weaker despite the regulation of bringing in exports proceeds in 90 days. Still, the currency is depreciating and I can’t figure out any reason,” a currency dealer said, asking not to be named. In April, exporters were asked to repatriate earnings held abroad within 90 days of the export date, to improve foreign exchange inflows into the country. Trading in the spot currency however has been intermittent since Jan. 27, and it was barely bid on Tuesday as well. The spot rupee reference rate was pegged at 145.75, the dealers said. Sri Lanka’s central bank fixed the spot trading rate at 143.90 per dollar until May 2, dealers said. Foreign investors bought more government bonds last week, which also helped the currency, dealers said. Don’t worry, soon you will go bankrupt like Greece did.